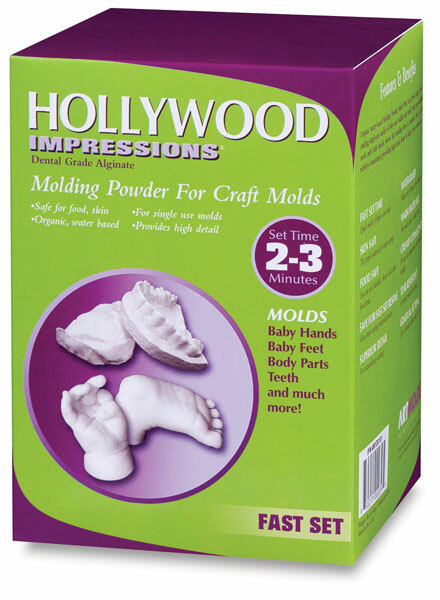 ArtMolds alginates are skin safe and easy to use. Just add water and mix. They make a one-time mold with detail so sharp they actually reproduce fingerprints. Alginates are the perfect choice for quick and easy mold making, body casting, and special effects. 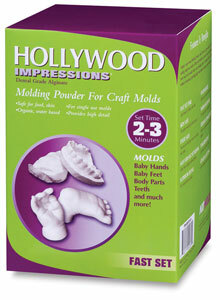 Hollywood Impressions has the fastest set time, at 2–3 minutes.